The Smoothie Valley in SDA Market is the ideal place to get a drink and a snack post a workout without ruining all your efforts. 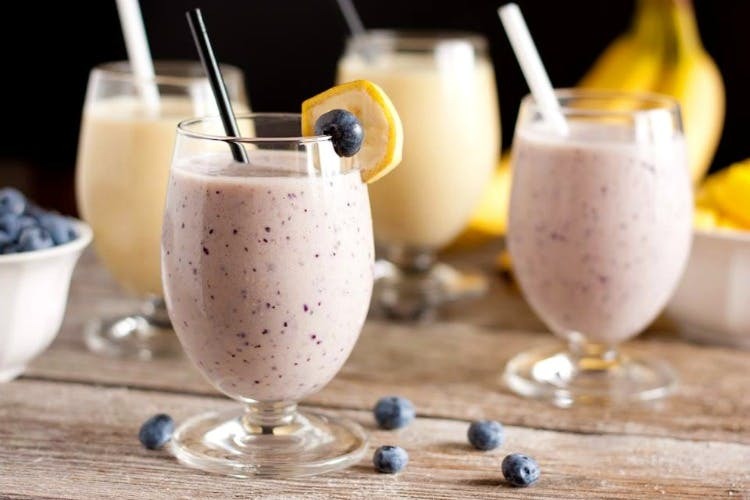 The Blueberry Smoothie and the Raspberry Smoothie. Even the small glass is enough to fill you up. They have options to add protein supplements and energy supplements so you can get super specific in your demands. I also tried the Cheese and Jalapeno Toastie which was so good. The Chocolate Chip waffles here are to die for. And don’t worry, they’re multi-grain. Smoothie Valley is good for a quick catch-up with a buddy but it’s not a place you can sit at for hours.